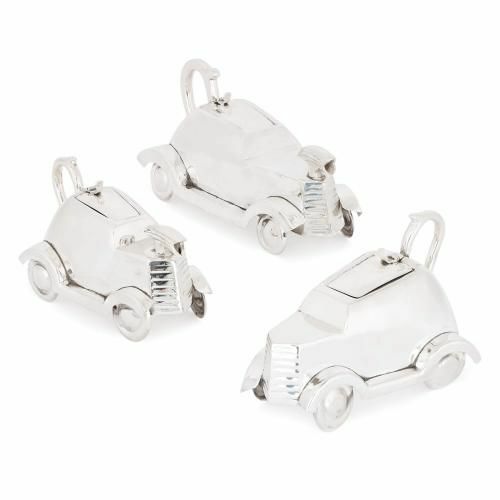 This charming silver-plated tea set is the work of English maker Mappin & Webb, and would make a unique gift to a lover of classic cars or unusual teaware. 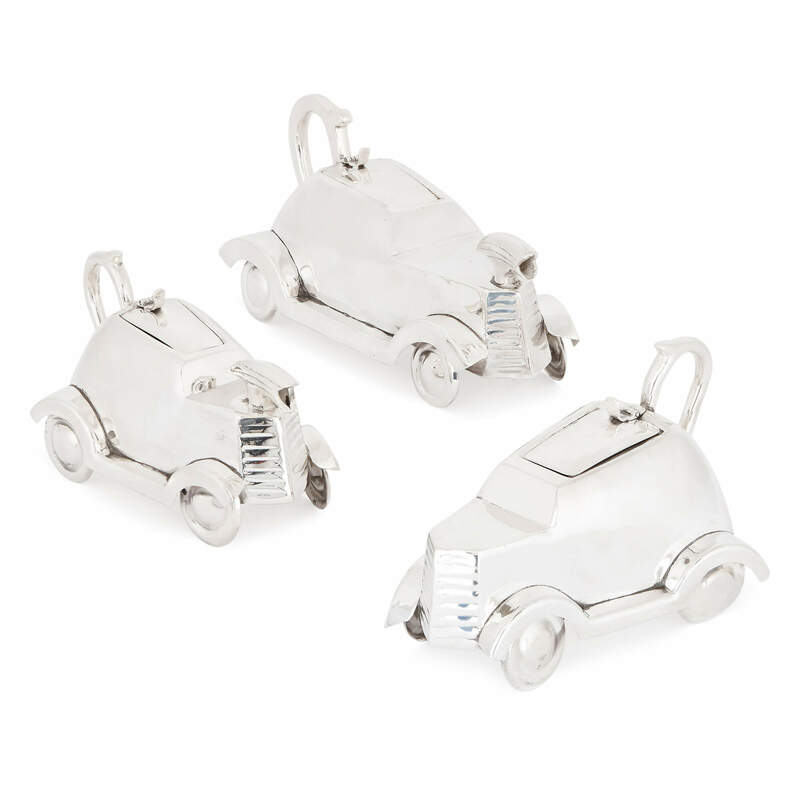 This exquisite three piece silver-plated tea set, made by Mappin & Webb, features a fun and witty automobile-themed design. 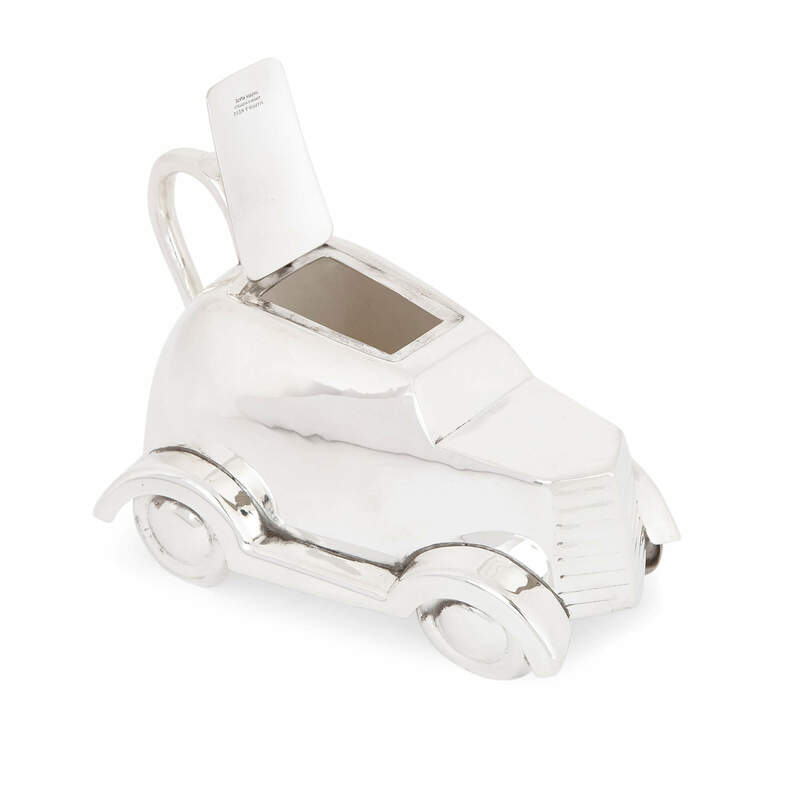 Mappin & Webb traces its origins back to 1775 and, specialising in jewellery, silverware and objet d'art, has held a royal warrant since 1897. 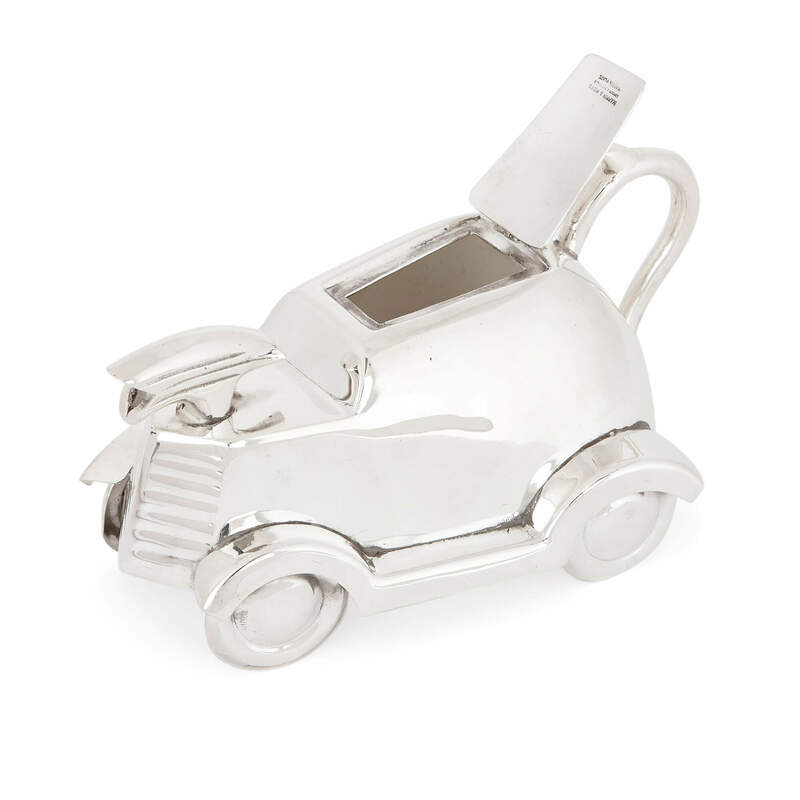 The tea set comprises a teapot, sugar pot and a milk jug, each of which is crafted in the shape of a vintage motor car. 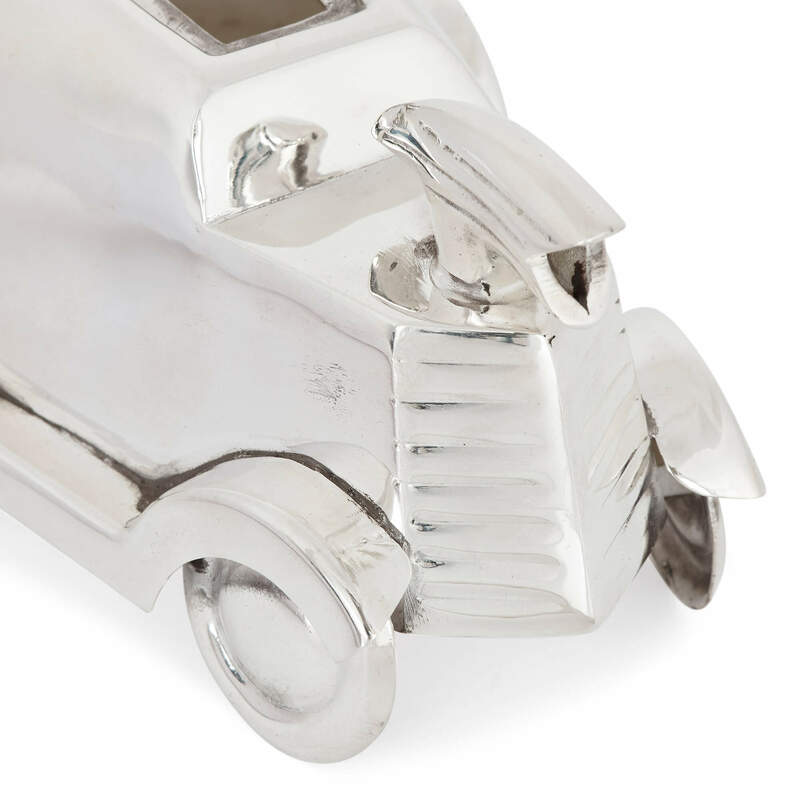 Each piece features four cast wheels, frontal grills, and a hinged lid that sits flush with the roof of the car, together with a curved handle fixed to the boot. 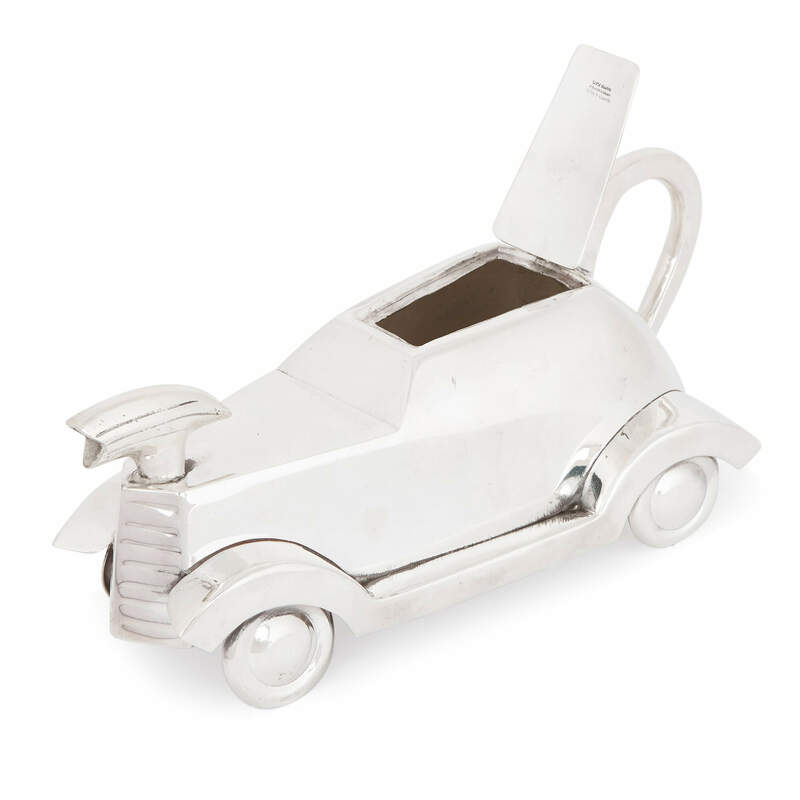 The milk jug and the tea pot also feature bonnet ornaments that serve as spouts. 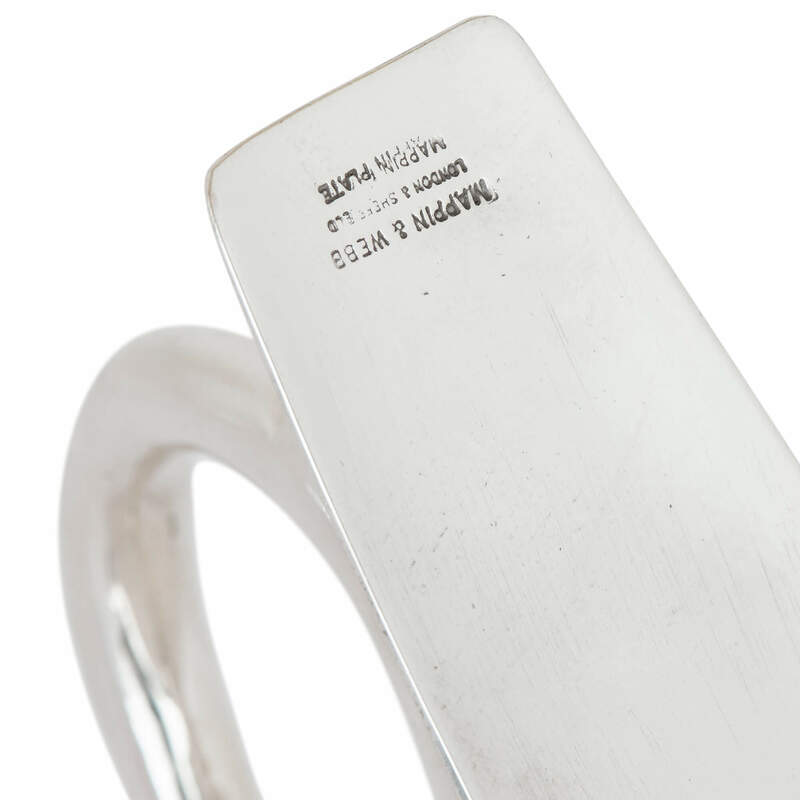 The set is signed to the interior of the hinged lids 'MAPPIN & WEBB / LONDON & SHEFFIELD / MAPPIN PLATE'.